I first discovered the Tunisian progressive metal band Myrath while combing YouTube for progressive music that I hadn't yet heard. Keep in mind, I've been a progressive metal fan for decades now, and sometimes I feel as though I've "heard it all." Imagine my surprise when I heard Myrath. There is cliche in modern music here in the West in which musicians play a lot of harmonic minor scalses over drone notes in a cringe-inducing attempt to sound vaguely "Arabian" or "Indian" or "Eastern." Such music is always bad, because it is shallowly composed. First of all, the harmonic minor scale is a western scale, not an eastern one. Second of all, anyone who hears "eastern" music and extracts only drone notes and major 7ths has tin ears. Thirdly, what if I reduced all of your favorite musical traditions into a lot of "Aaaayaaaa-yaaaaaahhh!" and stupid chord progressions? Lame, right? So, when one finally encounters musicians who are genuinely capable of constructing a beautiful eastern melody, it's easy to spot the difference. In fact, those of us who listen to a lot of eastern music, not for ambiance, but for pleasure have learned that the great superior feature of eastern music is its melodies. What western ears perceive to be "droning" chords and pedal tones is rather a deliberate sparseness that allows for a stunning melodic complexity. This complexity sometimes requires notes that do not even exist in the twelve-tone western framework - that's not a stylistic choice in eastern music, it's a melodic one. The notes are composed that way. The melodies matter. Myrath's incomparable ability to navigate both eastern and western melodies - always within the same song, and quite often within the same musical measure - allows the band to transcend cliches and stereotypes, enabling them to craft a truly unique space in the rock landscape. They are the perfect intersection between European power metal and Arabic-language pop. That has never been truer in the band's history than on their latest album, Legacy. The album, as a whole, is substantially more song-oriented than their previous work. "Song-oriented" usually means "not progressive," but not in this case. The songs are as progressive as ever - time-signature changes, polyrhythms, compositional complexity, instrumental virtuosity - but the band has managed to channel their energy into a series of tracks that meander a bit less than their previous work. The result is a set of songs that feel highly refined, as though the band has found its sweet spot and knows what to do with it. Two aspects of this album stand out for me. The first are the percussion performances. A bad prog-rock drummer will play beats that seem to say, "Okay, guys, now I'm playing in 5/4! Okay, now it's 7/8, isn't that awesome? Now here's an awesome tom fill!" Whereas, a good prog-rock drummer will play a beat that binds together all of the music in such a way that the listener doesn't particularly care what the time signature is, because the beat is consistent, cohesive, and musical. Myrath's Morgan Berthet is one of those rare percussionists who can handle all the prog-rock weirdness that defines the genre, but without calling special attention to it. Still, at times the listener must simply hone-in on what Berthet is playing, and be amazed. He is a truly gifted drummer. 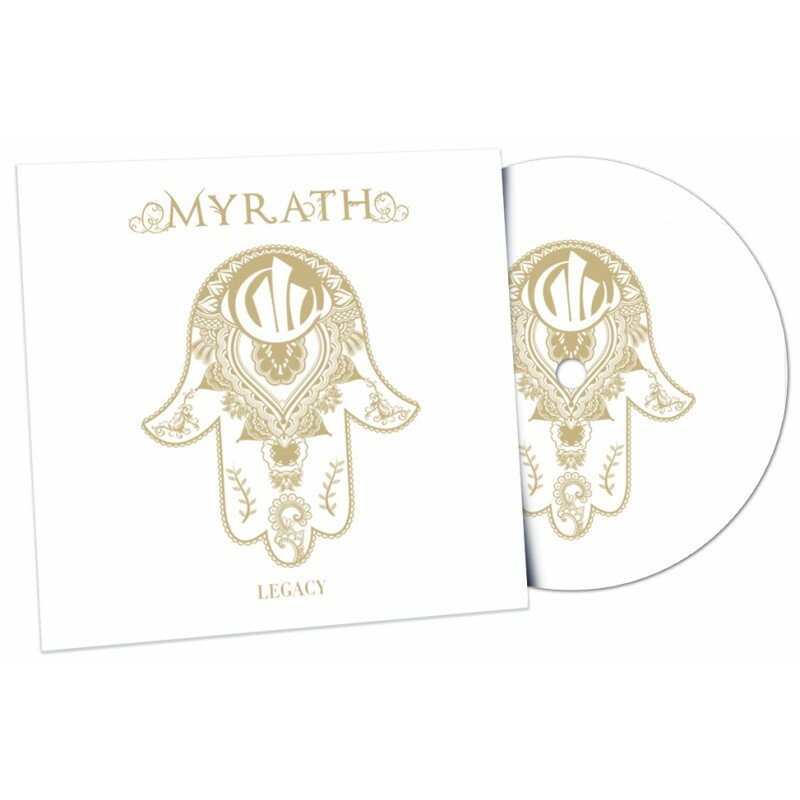 The second standout on the Legacy album is Myrath's not-so-secret weapon, the stunning vocals of singer Zaher Zorgati. Recall what I said above about melody lines that go from being traditionally "western" to traditionally "eastern" often in the same line. As a matter of pure technical virtuosity, that is not an easy way to sing. The mere fact that Zorgati can deliver his lines accurately is a testament to his ability, but luckily for us, he doesn't stop at that. Zorgati signs with an apparent 3-octave range (probably wider, but the music hasn't called for it yet), and can deliver soft or gritty vocals seemingly anywhere in his register. For me, the high points on the album are the ones where Zorgati's vocals are at their pinnacle: "Nobody's Lives," in which Zorgati delivers a rising vocal crescendo during the bridge that (to my ears) evokes the great Nusrat Fateh Ali Khan, and "Duat," a song with an incredibly complex melody that Zorgati manages to deliver with stunning emotion. Of course, progressive metal is a primarily guitar-driven genre of music, so I would be remiss if I didn't mention guitarist Malek Ben Arbia. On the new album, his lead guitar work is as good as ever, but what I really enjoy about this album is his restraint. He never adds more than the song calls for, never ventures into self-indulgent territory. Always and everywhere, he's playing for the song. A careful listener will become aware of precisely how true this is when you notice that there isn't a lot of multi-tracked guitar on this album. The guitar tracks sit so perfectly in the arrangements that the kind of over-dubbing that most prog-metal bands need (just to sound good) are completely unnecessary on Legacy. In summary, what we have here is an early contender for the best album of 2016. Other artists - especially progressive metal artists - who plan on releasing albums later this year really have their work cut out for them. The bar has been set very high indeed.